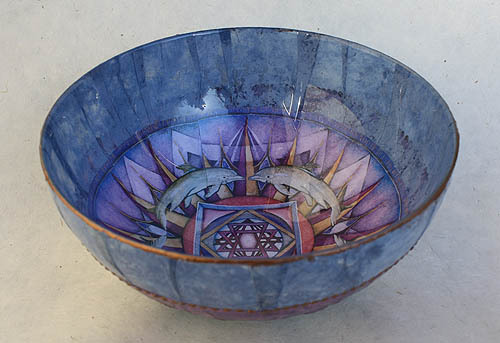 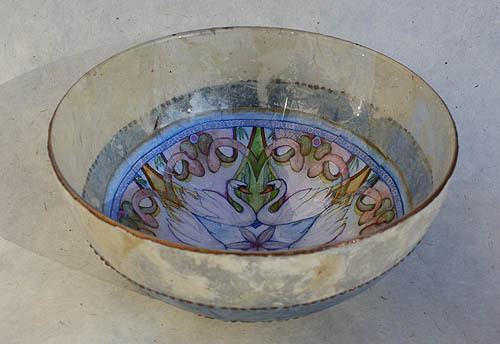 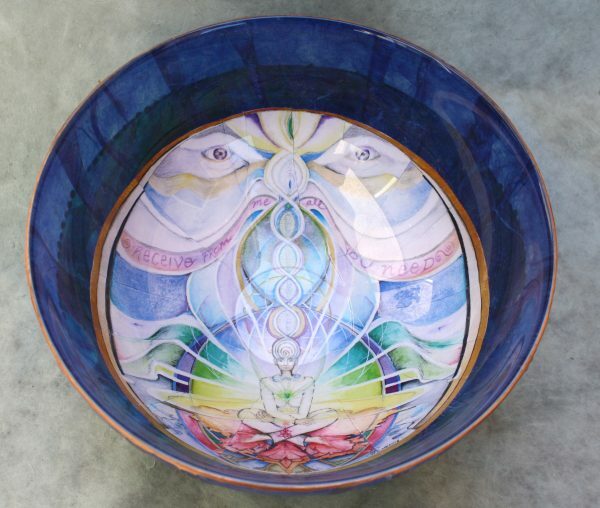 A truly unique bowl, 4″ deep, and deep it is, as you gaze within the beauty that will cradle your food, treasures or prayers. 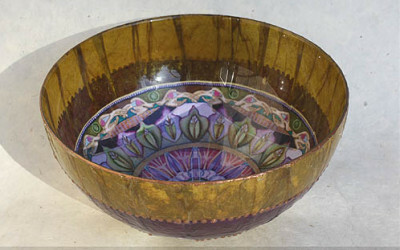 Border colors and design details will vary. 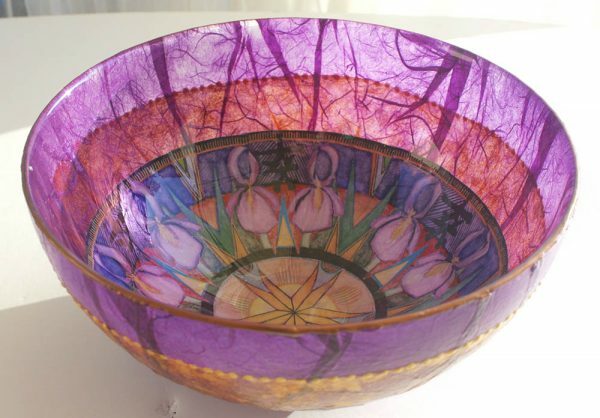 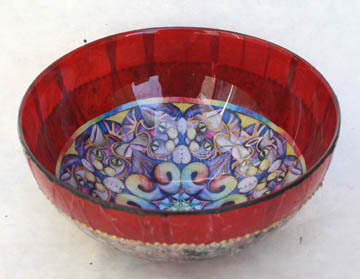 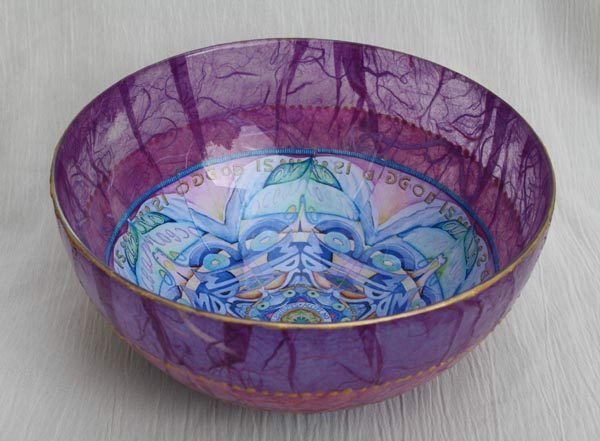 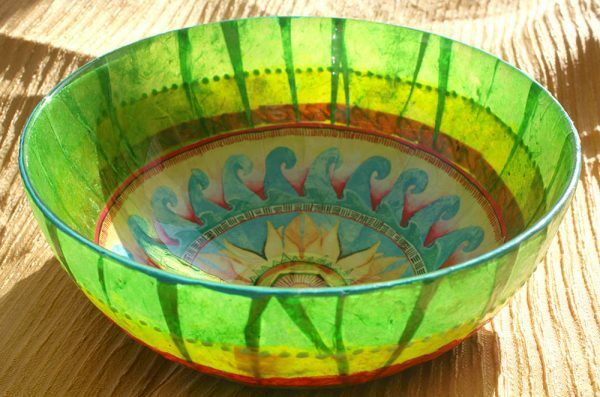 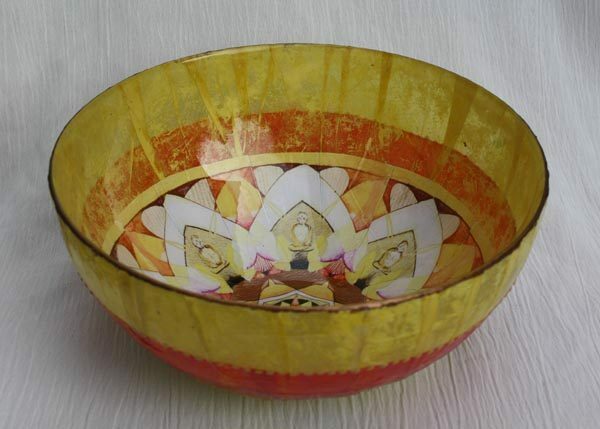 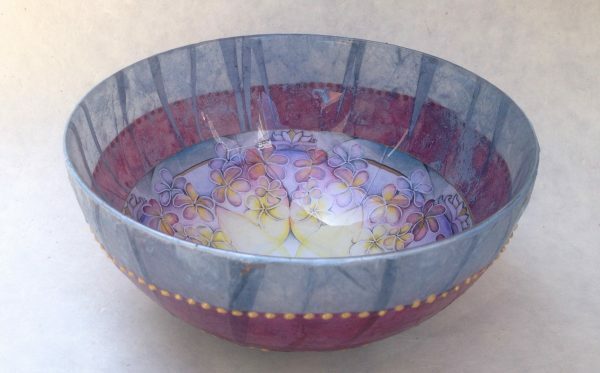 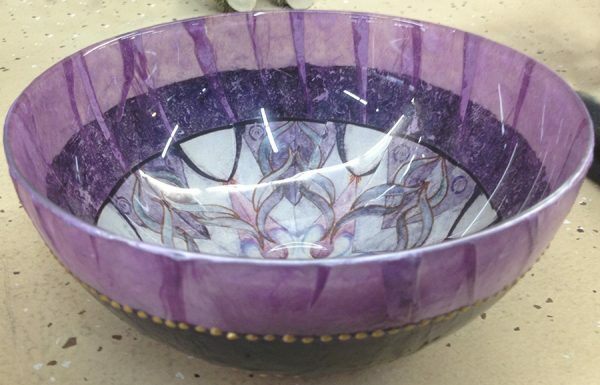 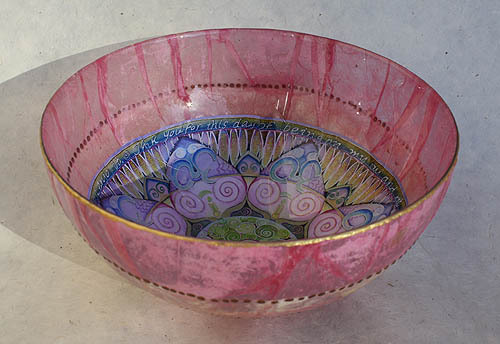 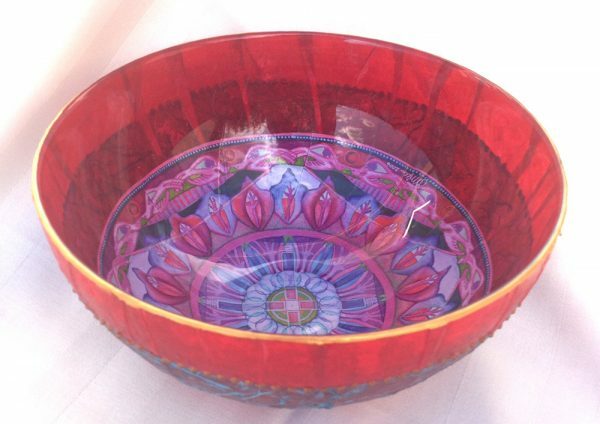 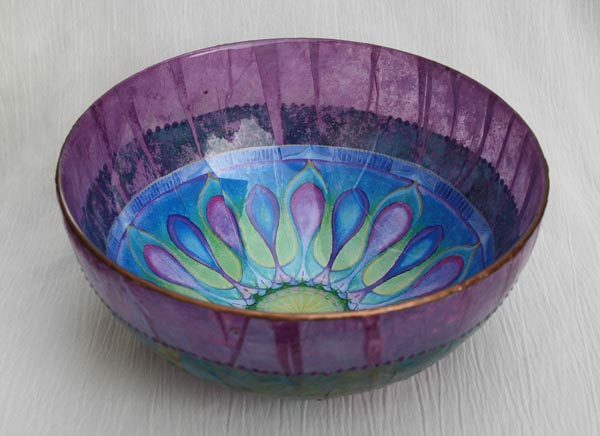 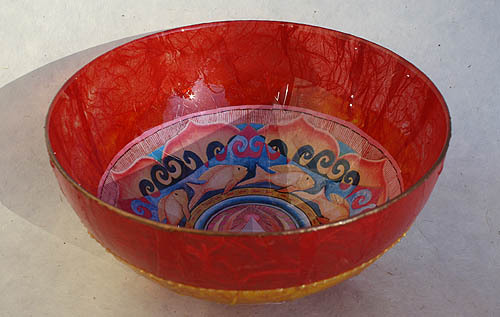 Each one-of-a-kind bowl is lovingly and carefully handmade. 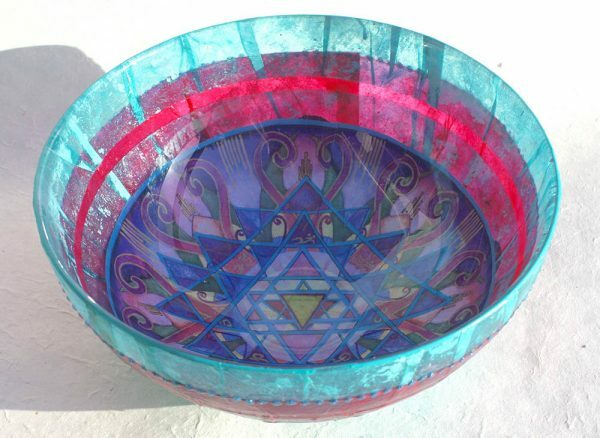 and tell me, in the comments section of your order, which mandala you want instead.